Alkali Resistant Glass Reinforcing Fabric for use in Construction and Waterproofing. 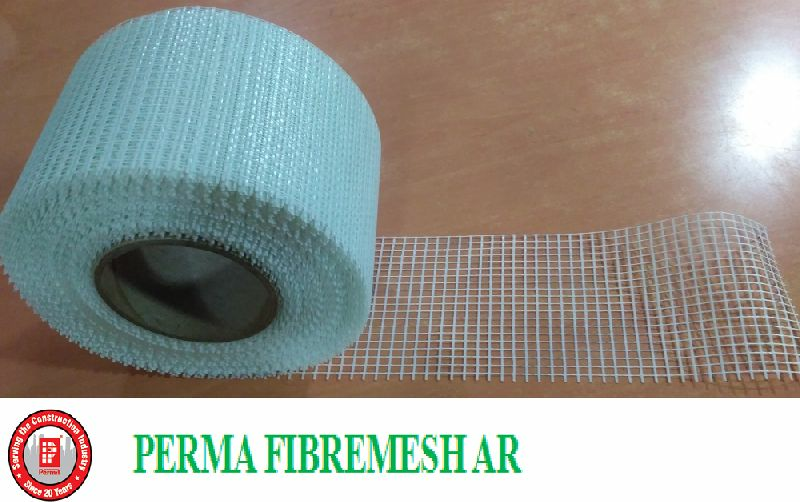 Perma Fibremesh AR is a fabric made up of alkali resistant glass fibre for use in screeds, plasters, waterproofing and weatherproofing membranes to control the cracks which result from either two materials of different coefficient of thermal expansion or those caused by shrinkage or tensile stress created by the seasonal expansion and contraction. It is manufactured from virgin glass. Perma Fibremesh AR products are extremely tough, light weight, flexible, high in tensile strength and easy to work with. This product is available in 75 and 145 GSM. During the course of screed laying or plastering unroll the Perma Fibremesh AR and lay it on the leveled wet surface. Where the Fibremesh AR has to be joined make a loosely laid lap joint of 200 mm, and lay the final layer of screed/plaster or the liquid membrane and float/trowel to the desired finish. In all such application it is desired that the reinforcing membrane is kept lose to the surface. Perma Fibremeh AR is economical and it does not add too much to the overall cost in a project. It is easy to use. It only needs spreading over one layer of plaster/screed or membrane before application of the final layer. Perma Fibremesh AR can be used to reinforce two different types of materials in i.e. concrete, brick work etc. Artificial Rock Building, Marble back mounting, Repairs and structural Retrofitting. It is an ideal engineering material in construction and can be easily used to reinforce cement rendering , stone, wall material, roofing between gypsum etc. Can be used for internal and external plaster reinforcement.